The Journal of Mathematics aims to stimulate mathematical research among researchers in global arena. It publishes research papers on all areas of pure mathematics and theoretical applied mathematics. The main effect of increased greenhouse gas (GHG) emissions is global warming. Carbon dioxide (〖CO〗_2), methane(〖CH〗_4), nitrous oxide (〖NO〗_2 ) and other greenhouse gases all help trap heat in the Earth's atmosphere as a part of the greenhouse effect. 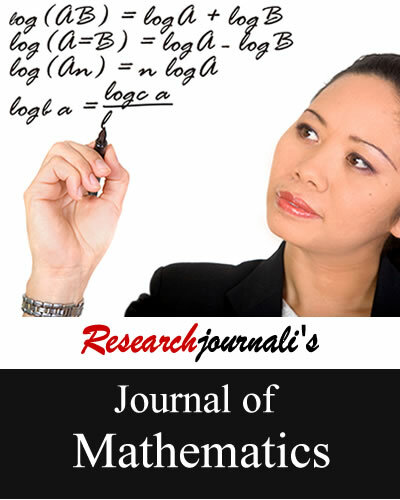 Researchjournali's Journal Of Mathematics (RJOM) aims to stimulate mathematical research among researchers in global arena. It publishes research papers on all areas of pure mathematics and theoretical applied mathematics. The journal provides a forum for publication of high quality research papers and emphasizes openness and flexibility. It is a valuable resource for pure and applied mathematicians, statisticians, systems theorists, analysts, and information scientists.